After announcing the Marathon M5 lite last month, Chinese smartphone manufacturer Gionee has unveiled a mini variant of its Marathon M5 smartphone. 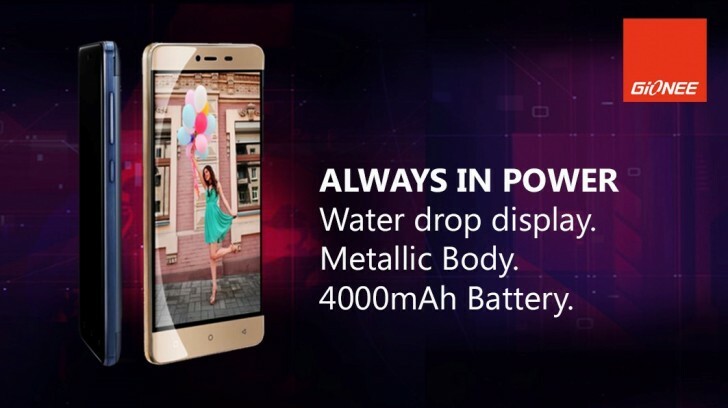 The device is powered by a Mediatek MT6580 SoC and sports a 5-inch (1280 x 720 pixel resolution) IPS display. Gionee Marathon M5 mini has 2GB RAM and 16GB expandable internal memory, and packs in a large 4,000 mAh battery. In terms of camera, the M5 mini features an 8MP rear and a 5MP front shooter. Measuring 143.5 x 71 x 9.6mm, the handset runs Android 5.1 Lollipop with Amigo UI 3.1 on top. Connectivity options include 3G, GPS, Bluetooth, and Wi-Fi. Commenting on the launch, the company's Nigeria Marketing Director Somoye Habeeb said, "Gionee focuses on innovation, efficiency and affordability in ways that other brands don’t. Having received a warm reception from the Nigerian market when we introduced the Gionee M5 a few months ago, Gionee is following up with the M5 Mini." "The Gionee M5 Mini as the name implies, is a compact version of the M5. It is just as effective and stylish, but more affordable. It can be considered a sequel to the highly durable M5, and is the latest phone to be released in Nigeria," he added. There was, however, no word on the M5 mini's price. This is such an amazing phone! I can't wait for it to be released!